Featuring ex-SMOKING POPES members Josh and Eli Caterer, DUVALL takes over where the POPES left off. 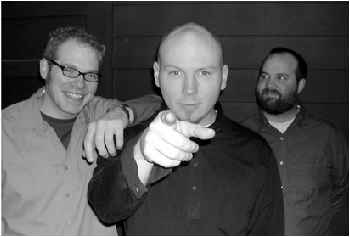 Having toured with the likes of MORRISSEY and JAWBREAKER, the SMOKING POPES garnered huge national acclaim. Josh Caterer is easily one of the most powerful songwriters to come around. An angelic voice that speaks volumes, DUVALL will be on the tip of everybodys tongues.